Just a few years ago, we’d look at blurry photos of Earth taken by satellites in amazement at how far our technology had progressed. Today, we can take 360-degree tours walking around on Mars, explore the most remote locations in the world without leaving our couch, and we don’t just play video games — we live them. All thanks to the advancements in virtual and augmented reality. These two technologies have already shown us what the future of entertainment is going to look like, and we’ve been lucky enough to experience it through platforms like Oculus Rift and video games such as Pokemon Go. But it’s not just for entertainment. Several companies have already found ways to use VR and AR technology for medical training and military combat training as well. Even though virtual reality (VR) and augmented reality (AR) sound very similar, they are two different technologies that target two separate audiences. Facebook bet big on VR by acquiring Oculus for $2 billion, but Microsoft has so far focused primarily on AR. CEO of Magic Leap, Rony Abovitz even went as far as to say that VR could even cause permanent neurologic deficits in our brain, probably in an attempt to dismiss the developments of VR technology. So, what makes virtual reality different from augmented reality, and which technology brings the most promising advantages? Let’s find out. If you’ve ever played around with a VR headset like Oculus Rift or played an AR game like Ingress or Pokemon Go, you may have a basic understanding of what these technologies are capable of. VR is a technology that brings you immersive experiences. When you put on a VR headset you’re able to travel to entirely different computer-generated realities or go inside a game where you can walk, run, and view environments by simply turning your head around. You’re able to get a better idea of VR if you experience it yourself. If you own an Android phone, you can make your own DIY VR headset with Google Cardboard and get a basic experience of VR using your smartphone as a VR display. There are plenty of great VR apps you could try and we recommend starting off with a simple Roller Coaster ride. Augmented reality is a combination of both virtual reality and real-world experiences and interactions. Most of the time, AR uses live feeds of real-world environments with a mix of virtual elements to offer truly immersive experiences where people can actually interact with digital objects and content. 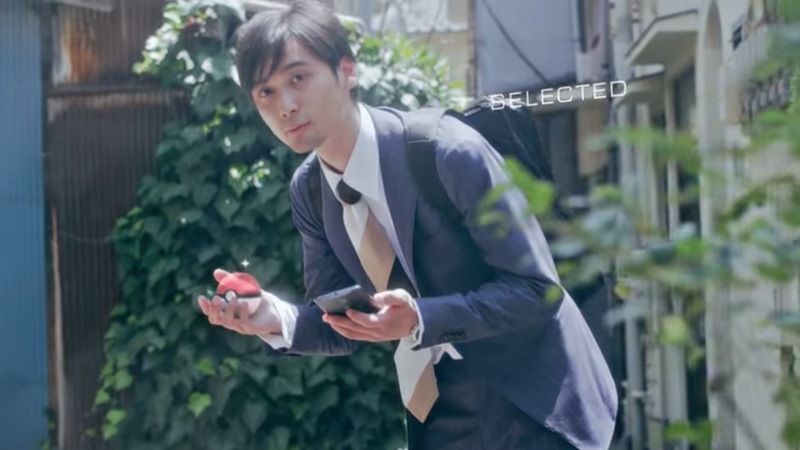 One of the most popular and simple examples for AR is the massively popular mobile game Pokemon Go, which combines the real world with elements from the Pokemon franchise to offer an interactive live-action experience to its players. Everyone started paying attention to VR when Oculus raised over $2.4 million on Kickstarter for its VR headset, a technology that most people haven’t even heard of at the time. A couple of years later Google came up with a much simpler and low-tech option with Google Cardboard VR headset. Then several other companies like HTC and Samsung followed with their own versions of VR headsets. Some experts predict VR to be not only the future of video games but also the future of entertainment. It’s only a matter of time before you step into a virtual reality movie theater. Google’s next step in VR is Daydream headset, which aims to offer a more immersive and adventurous experience to users through virtual reality. Although, Facebook seems to have the most optimistic plan for VR. 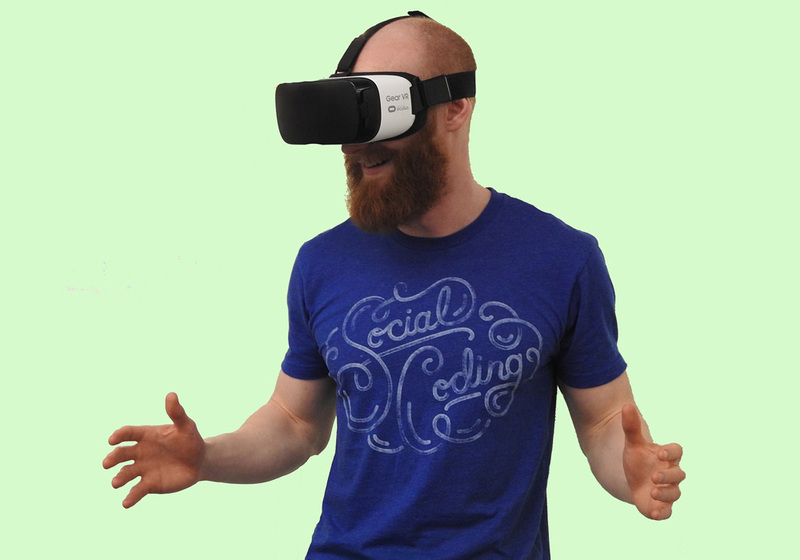 Facebook co-founder and CEO, Mark Zuckerberg recently released a massive 10-year plan for using VR technology with a combination of artificial intelligence and social media to build a more connected virtual reality platform. He showed off an example of what to expect with an interesting demo video that was widely shared. The market for virtual reality seemed bigger than augmented reality, and showed more promise, until 2016. When Google-owned Niantic.inc came out with the incredibly successful augmented reality game Pokemon Go, more people and companies started to pay close attention to this technology. Especially after Pokemon Go was able to rake in over $500 million in revenue. Another advanced development in AR is Microsoft’s Hololens, which the company calls a “holographic computer” that allows you to actually interact with digital content and holograms. Magic Leap also has an AR device in the works that’s similar to Hololens. The company is very secretive about its developments but they did manage to arouse curiosity with an incredible demo of the device. With Oculus Rift now available to consumers, and with many other VR headsets in the market, including HTC Vive and PlayStation VR, the VR industry is showing more potential than ever. Oculus also confirmed that it has over 50 games in development to be released on the platform. Following the massive success of Pokemon Go, we should expect more augmented reality games to be released this year, especially on mobile platforms. Microsoft’s Hololens is also getting close to release, with developer and commercial previews already available to buy. Hololens will definitely open doors to many new possibilities. 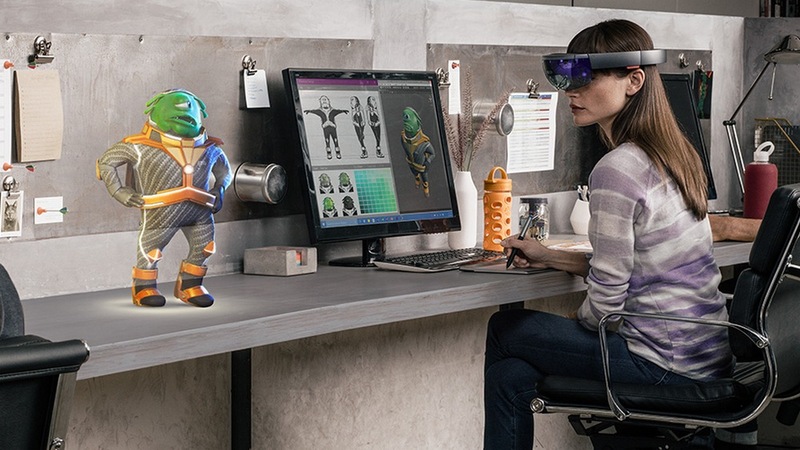 As Microsoft has already demoed, Hololens shows great potential for advancements in many industries, including gaming, design, exploration, and even for many of our real-world day-to-day uses like virtual 3D teleportation, or as they call it “holoportation”. These two technologies are clearly on their way to revolutionising the industry, and they will become a major part of our lives. In a couple of years, we might well be replacing our smartphones with VR glasses, taking holographic calls instead of video calls. One thing is certain, we are in for a fun ride!